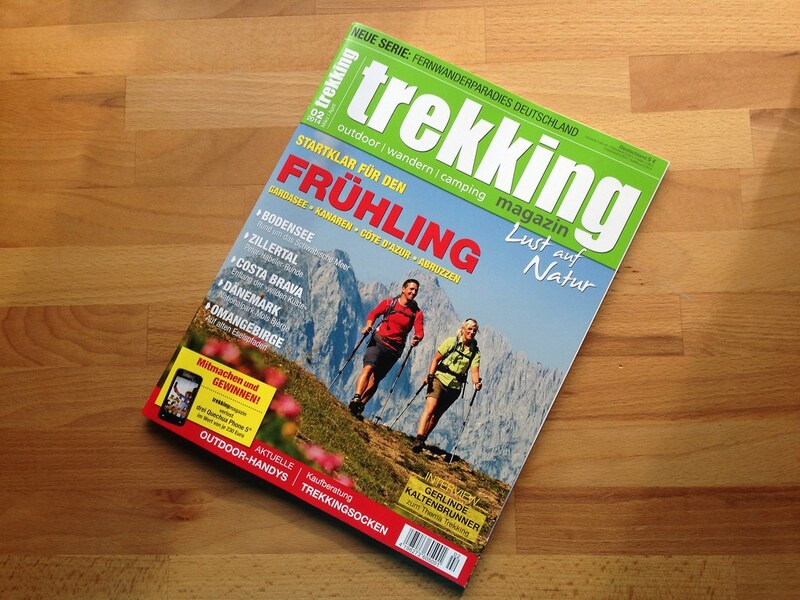 Issue 02/2014 of the trekking Magazin is since last Friday on the shelves and will get you into the spring hiking & trekking mood! It’s spring everywhere, with temperatures of 22°C in Germany and even in Vaasa the thermometer stays positive and the sun is out. Birds are singing, the sun is shining - yes, it’s spring. 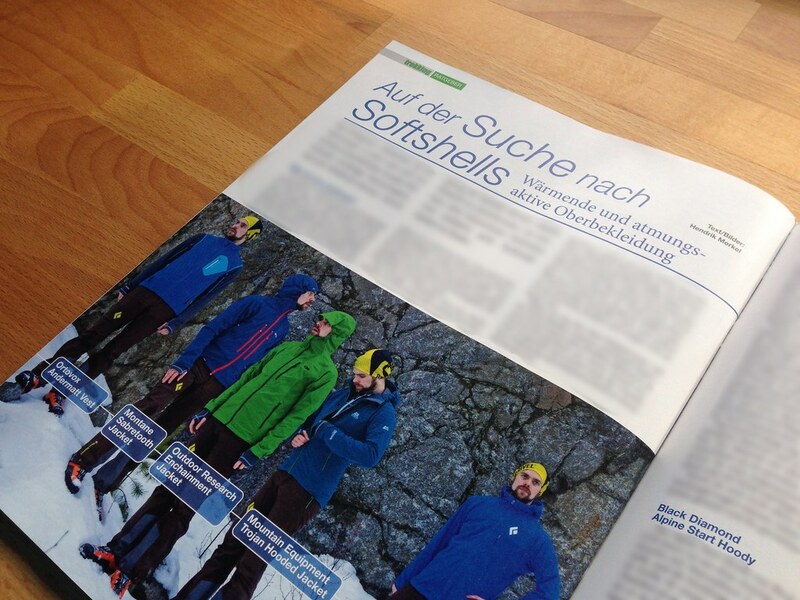 And that’s also the topic of the newest issue of the trekking Magazin. 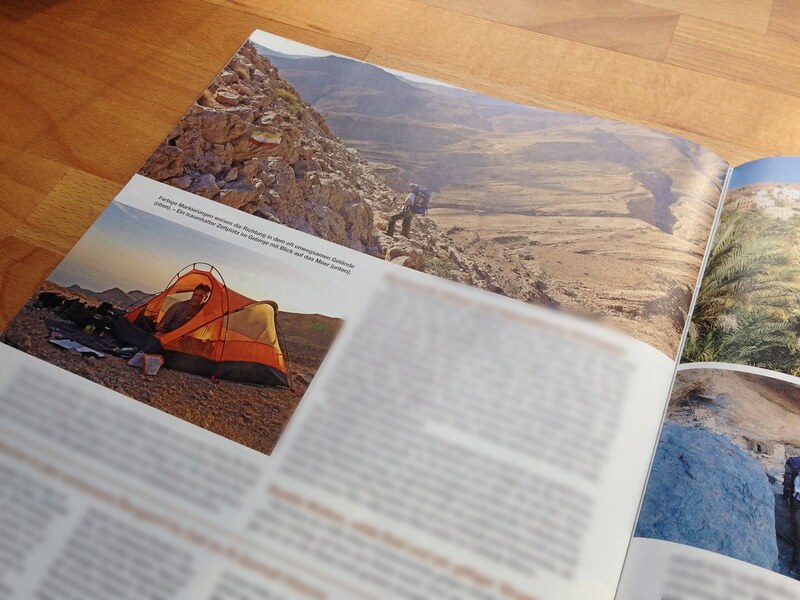 On 100 pages the spring hiking & trekking season is celebrated, and trip reports from Oman, Denmark, the Zillertal and Spain get you into spring mood. In my gear column I shed light on the mysteries of softshells & when they make sense, and do quick reviews of the Outdoor Research Enchainment Jacket, Mountain Equipment Trojan, Ortovox Andermatt Vest, Black Diamond Alpine Start Hoody and Montane Sabretooth jacket. A look at durable outdoor phones and hiking socks, an interview with Gerlinde Kaltenbrunner, and gear for kids recommendations round out this issue. Pick up a copy at the newspaper stand, take out a subscription or order a free review copy.